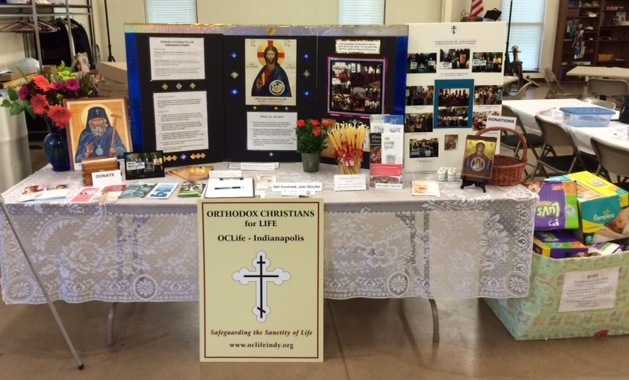 The Moleben for the Sanctity of Life (sponsored by the Presbyters Council of Central Indiana) in conjunction with the 40 Days for Life Prayer Fall 2015 campaign was a very blessed time of prayer with the Orthodox clergy attended by the Orthodox faithful as well as non-Orthodox. 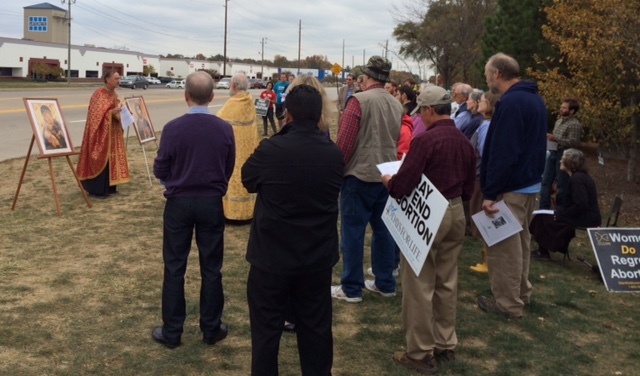 This service was the first time done by Orthodox clergy at Planned Parenthood on Georgetown Rd., Indianapolis. 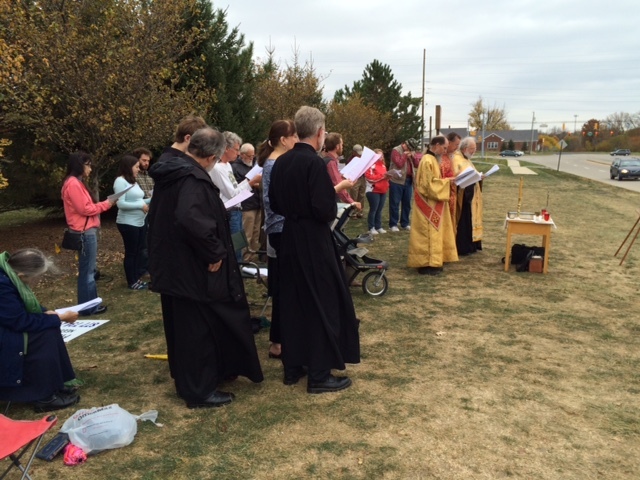 God had been merciful as the weather forecast showed rain all morning but it didn’t rain until we finished the prayer service. Glory to God! It was a true blessing that parents with their children joined us, especially with two moms on the way! 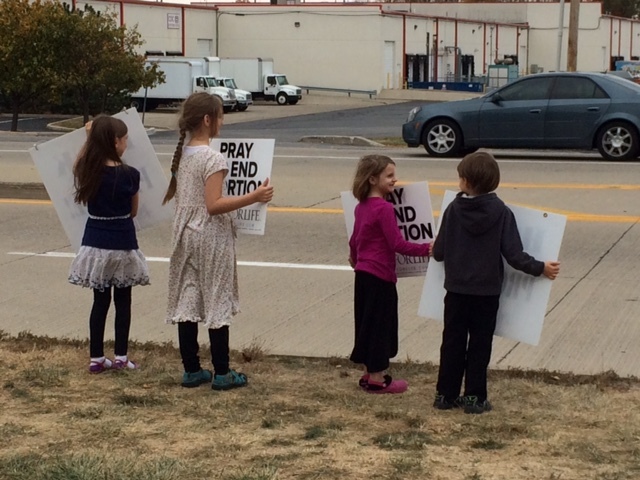 Children are a powerful witness to the sanctity of Life. Fr. Alex of the Holy Transfiguration Carpatho-Russian Orthodox Church in Crawfordsville, Indiana delivered a concise and inspiring sermon on prayer. We must pray at all times, at appointed times and in times of trouble which we live in. Lunch followed at St. Nicholas. 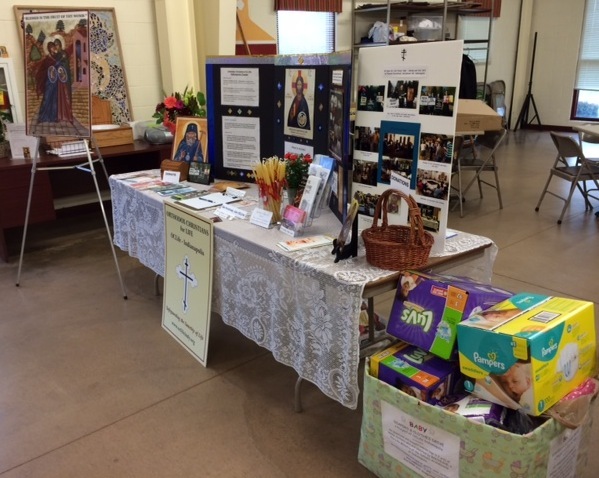 A big thank you to the Presbyters Council, the clergy, Very Rev. Fr. Stevan Bauman, Fr. Alex Miller, Fr. David Wey, Fr. Dcn. Michael Walker, Deacon Marco, Subdeacon Max Murphy, the faithful and the generous donors who donated diapers and cash to the Birthline Ministry and OCLife. We enjoyed Popadia Vesna’s wonderful food that she and daughter Christina prepared for us. Thank you, Pop. Vesna and of course, Fr. Dragan who graciously offered the use of their church hall for the luncheon. 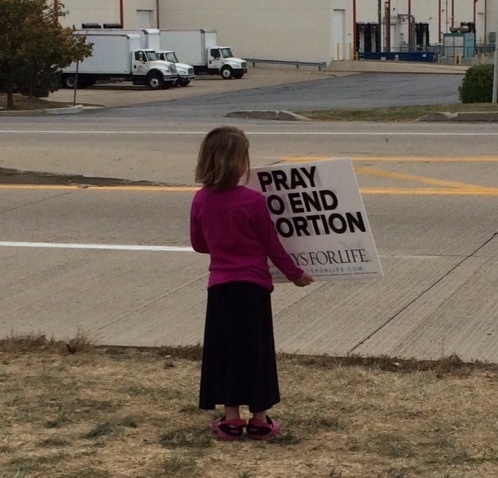 May God sanctify this place through the prayers of His people crying out to Him until the innocent unborn are safe in the womb. Glory be to God for all things!